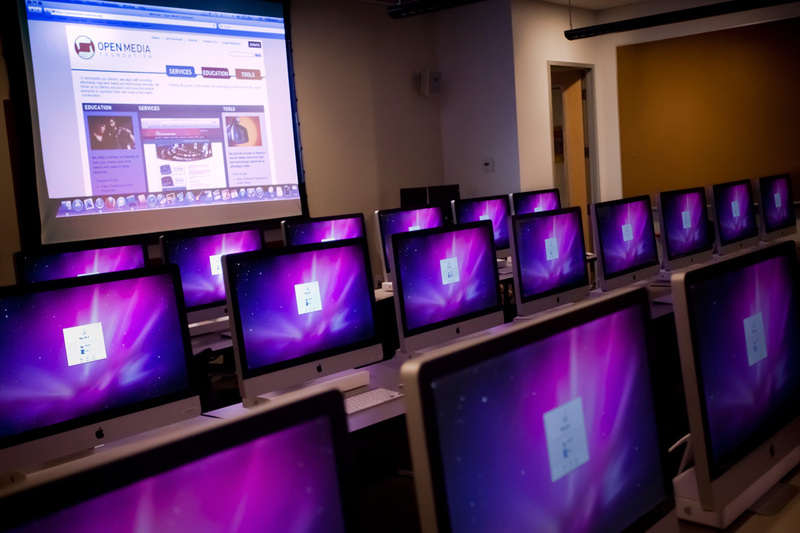 This first floor Lab is equipped with 20 brand new, top-of-the-line 27-inch Quad-processor iMacs loaded with cutting-edge media software. Large power drop-down presentation screen, surround-sound, wired/wireless Internet, 5'x8' whiteboard, with easy access to the adjacent Cafe. For additional information or questions, please email dom@openmediafoundation.org.